The scenery from the balcony was magnificent with a view over the harbour. A very clean, nice and spacious apartment that had all what you could need. Best view of the sea and harbor below and far enough from the marina activity and partying to be quiet at night. Appreciated the large bathroom, nice deck and convenience of having a washing machine. My wife forget 3 pairs of shoes at the property and Katia was kind enough to pack them up and arrange for a courier to deliver them to us in another city. Friendly neighbors across the street came to the rescue when we accidentally tripped the main electrical breaker. Eine traumhafte Unterkunft die allen Erwartungen gerecht wurde! Die Vermieterin war jederzeit erreichbar und wirklich immer sehr hilfsbereit, die Wohnung toll eingerichtet mit allem was man braucht und die Lage perfekt! Die Aussicht von der Terrasse ist unglaublich! Ongelooflijk prachtig uitzicht vanaf woonkamer, keuken het grote mooie terras. Echt fenomenaal. Aardig dat er een schaal koekjes klaarlag. Fijne ruimte, prima bankjes, grote keuken. Flott, velutstyrt leilighet med god plass til 5-6 mennesker. Stort bad. Kjempefin, stor terrasse med utsikt over bukta, hyggelig langbord og grill. Gangavstand til havna, "bystrand" og matbutikk. Hjelpsom vertinne. Ekstra pluss for at det er vaskemaskin i leiligheten. Fantastyczne,romantyczne miejsce.Piękne,przytulne mieszkanie,czyste i super wyposażone,bardzo duży taras z niepowtarzalnym widokiem na morze. Bardzo gościnne gospodarze ,rodzinna atmosfera. 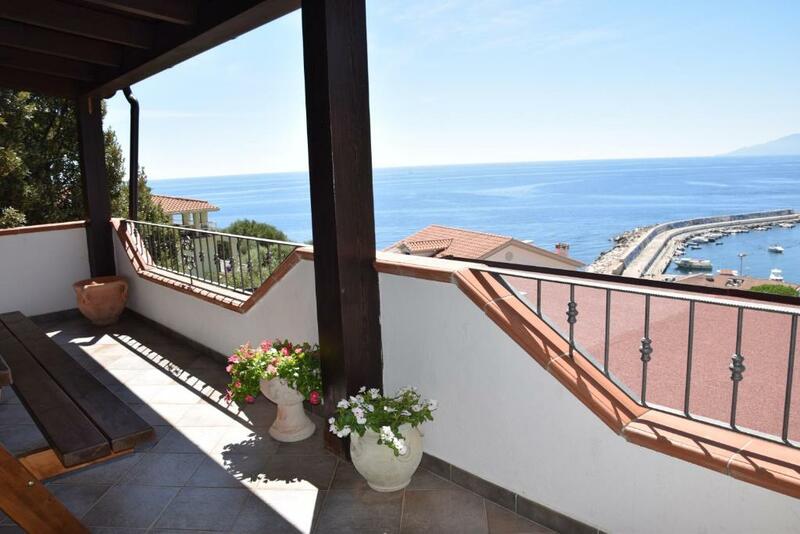 Bellissimo appartamento, posizione ottima dove dalla terrazza si vede tutta la visuale del Golfo. Accoglienza e cordialità ottima. Wunderschöne Aussicht vom riesigen Balkon. Etwas abseits vom Trubel aber trotzdem zentral gelegen. Gute Ausstattung. Große Wohnung. Grillmöglichkeit. Lock in a great price for Cala Gonone House – rated 9.5 by recent guests! 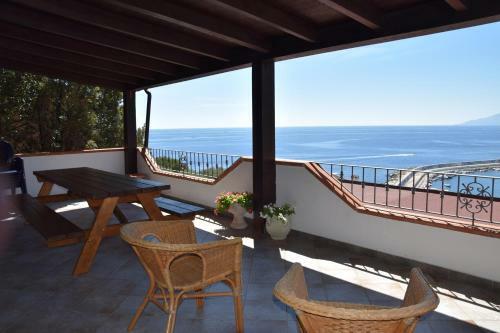 Just 1,650 feet from the sandy beach, Cala Gonone House features a furnished, sea-view terrace with BBQ facilities. It offers free WiFi and air conditioning. This classic-style apartment includes a kitchen, washing machine and TV. The bathroom has a hairdryer. 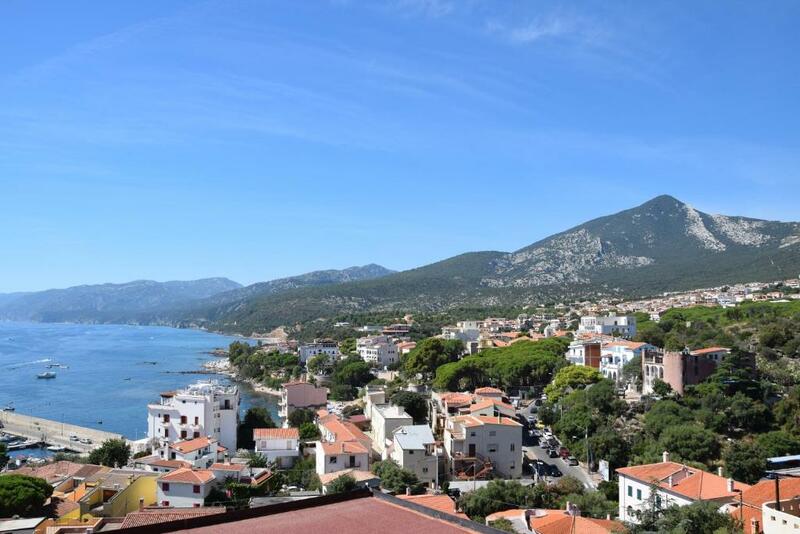 The ferry harbor is a 5-minute walk from Cala Gonone House. The Bue Marino caves are approximately 5 mi away. 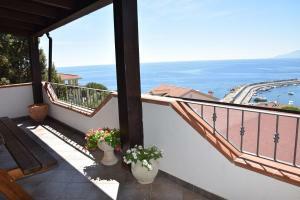 This property is also rated for the best value in Cala Gonone! Guests are getting more for their money when compared to other properties in this city. 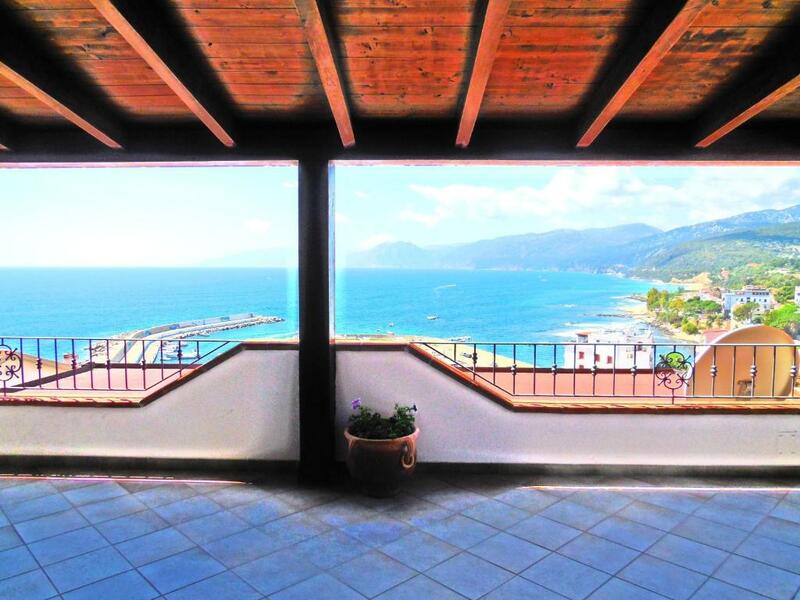 뀐 Located in the top-rated area in Cala Gonone, this property has an excellent location score of 9.7! When would you like to stay at Cala Gonone House? Air-conditioned apartment featuring a furnished, sea-view terrace with BBQ facilities. It offers a kitchen, TV and washing machine. WiFi is free. Vista panoramica mozzafiato..relax per i vostri occhi. La casa si trova sopra il porticciolo turistico, come si può vedere dalle foto, da cui si possono raggiungere molte cale bellissime, Cala Luna, Cala Mariolu, Cala Sisine, Cala Biriola, ma anche le famose grotte del Bue Marino note per la presenza in passato della foca monaca. Altre spiagge sono raggiungibili in soli dieci minuti di auto dalla casa, queste sono Cala Osalla e Cala Cartoe. Altre ancora si raggiungono in 5 minuti di camminata verso il porto. Vicino alla casa, esattamente a 500 mt, troverete un sentiero panoramico dove poter ammirare i colori della natura mischiati con il turchese del mare. Un vero e proprio spettacolo. Buone vacanze..
House Rules Cala Gonone House takes special requests – add in the next step! For stays shorter than 5 nights bed linen and towels are not included. You can bring your own bed linen and towels or rent them on site at EUR 15 per person. Please inform Cala Gonone House of your expected arrival time in advance. You can use the Special Requests box when booking, or contact the property directly using the contact details in your confirmation. Bedrooms were pretty hot - fans would help if not aircon. Clearer instructions for locking the house on the back of the front door as we had a mishap on departure and got locked out. Our fault, but could have been avoided. My wife would have liked the beds to be a little firmer.